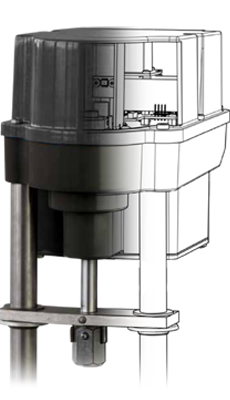 The ARIA Series actuators are designed as either Spring-Fail-Safe upon Loss of- Power, or as Fail-In-Place on Loss-of-Power, (model dependent.) 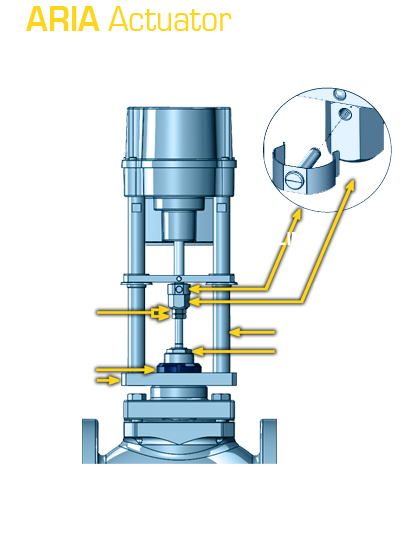 The actuator is mounted onto the control valve via pillars and mounting base and attached via a yoke locknut. The actuator stem and valve stem are connected as well.